Re: Will Northeast MI ever receive 3G? Will Northeast MI ever receive 3G? I've heard talk about how ATT is "working on their network coverage" and plans to provide 3G service in Northeast MI "in the coming months". Well, now that another 2 year contract has expired, I'm seriously wondering if I would be better off jumping to Verizon. The EDGE data network up here if virtually useless. 5 full bars, yet extremely poor data transfer. If it was on and off they are testing. Shouldn't be long now. Hmm. Looking at AT&T's map the 4G coverage is almost non existant between Cedarville and De Tour unless the tower in Goetzville was lit up for a brief time when you drove through. Or...maybe the signal is carrying better than what is depicted on the map. It was reported on HoFo that Drummond is getting a new, taller tower. Awesome! 3G went live in Munising today. 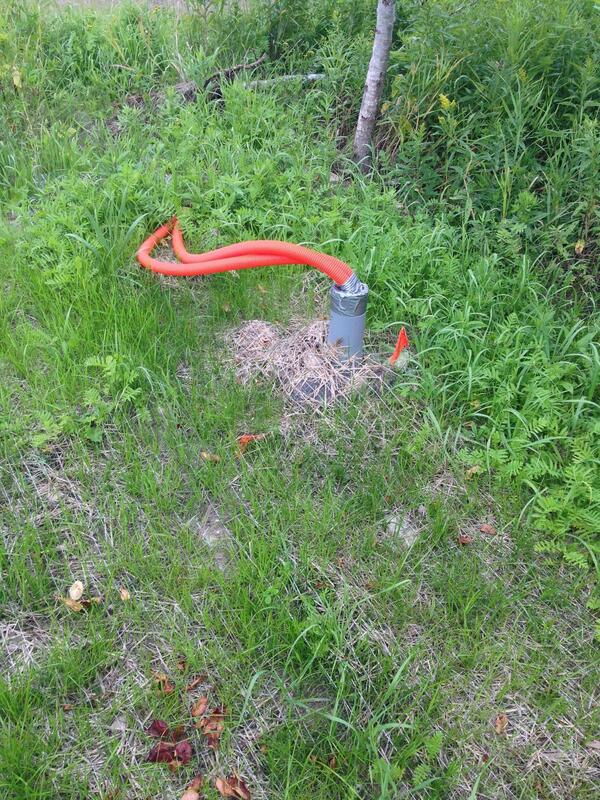 Those orange tubes coming out of what appears to be PVC.....or conduit....are not fiber optic lines, but rather corrugated HDPE...or High Density Polyethylene which is typically placed iside of existing innerduct. This makes it very easy to run the fiber optic line through and also provides protection from crushing or binding. They've got it taped up to help prevent water from getting down inside the pipe. You can't tell from the pic if the fiber has already been ran through, but if not it's getting close. By looking at that tower, you can see that the broadband panels have not been installed yet so AT&T cannot fire up 3G/4G. I am uploading a pic of the tower in Red Oak. When the tower looks like this....it will only be a few weeks, or less before they fire it up. Yeah I noticed no panel antennas yet. I'm hoping the fiber cable has already been run but, like you said it's hard to tell. At least they have that stuff setup, hopefully it's not too long now. I heard most of the towers should be upgraded by early to mid September. AT&T supposedly activated a bunch of new towers on Aug 12th. I bet your tower will be upgraded soon. Probably waiting on the tower climbers. Ok I retract my earlier statement from AT&T about slower HSPA+. AT&T 4G IS HSPA+21 as confirmed on another forum. It's just my area (Metro Detroit with a urban cell site 0.5 miles from me) only delivers 3-4Mbps indoors because the network is so congested. You guys should be getting MUCH better speeds out in the rural areas. Though I don't know how many HSPA+/UMTS carriers AT&T is deploying, with 10MHz (2x5MHz UMTS) minimum. I hope it's at least 2, hoping for 3. AT&T has 5 (max allowed) in NYC and Los Angeles I've read. Each carrier is 21Mbps. I know when AT&T upgraded their towers in northern Macomb and southern Lapeer counties with true HSPA+ (fiber backhaul), I was seeing download speeds in the 12-16 Mbps range in the evenings. Now, 3-7 is average and 7-10 is about max but now the uploads are reaching 2-4 which tells me they must be throttling their downloads speeds just like Verizon. 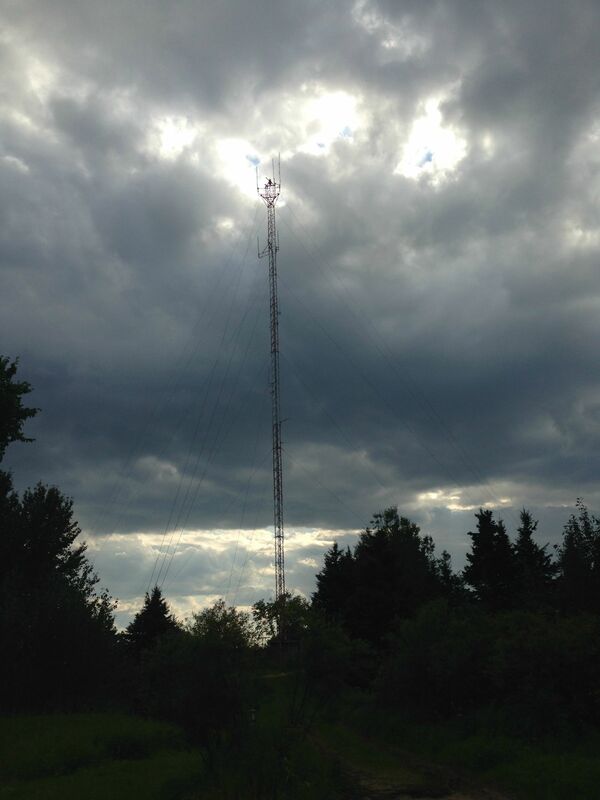 I was informed by someone that the AT&T towers in northern MI that are getting new 3G service are in fact still on T-1 backhaul. They are pushing to get all their towers upgraded by a certain target date and will be also working on fiber Ethernet backhaul. Apparently the equipment that is being used is capable of much faster speeds over copper than what was seen a few years ago. Was in Saginaw today. Amazed that the 4G LTE download speeds were worse than the 3G speeds here in Pickford. Would the reason for the slow speed there be congestion on the network? I did a speed test. The upload speeds are definitely higher. I get 509-972kbps here versus 1848 in Saginaw. wow, when I was in Ann Arbor I was getting 40MB down and like 12MB up. The Saginaw slow speeds are most likely congestion I would say. I read somewhere online that for LTE AT&T and Verizon REQUIRE fiber backhaul to every single BTS or transmission site. Or it is high capacity microwave in rural areas to a location with access to the global fiber backbone (most likely the nearest city with a "lit" CO being transported to their Mobility MSC). Ann Arbor and other major metro areas have high speeds because AT&T is densifying the network by installing more and more cell sites within a limited amount of space. A2 is in some ways a global tech hub with the University of Michigan and I've personally seen an AT&T cell site on the top of a downtown parking structure. I would also say the slower speeds are partly do to congestion and quite possibly not all of their towers have active LTE on them in the Saginaw area yet. AT&T is doing a lot of work to their network right now so that may also have a bearing on it. Here is a Verizon LTE speedtest taken yesterday south of Almont. Their network has been very quirky as of late. In places like Detroit, Flint, GrandRapids, etc,at&t is deploying LTE on 20 mhz of spectrum which allows 10mhz for the downlink and another 10 for the uplink. Unfortunately in saginaw at&t only holds enough 700 mhz spectrum to deploy lte on 10mhz of spectrum or 5mhz for downlink as well 5 mhz for uplink. That being said, lte in Saginaw is more prone to slowdowns during peak times (Think less lanes of traffic on the expressway). Now hspa+ (which has been confirmed on this thread to be live in Pickford like you stated), is also deployed on 5x5 blocks of spectrum. Each 5x5 block is called a carrier. It is likely that there is more than one hspa+ carrier deployed on the tower. With less loading and room for several carriers in Pickford, it isn't surprising your speeds in saginaw are lower. When at&t deploys lte on wcs spectrum a couple years from now this issue should be resolved. A side note: 2mbps on lte is still going to feel faster than 2mbps on hspa+. Thank lte's low ping times for that.